I can help you set up new AdWords accounts, improve your current campaigns, or provide one-on-one consultation and training to help you better understand the health of your keywords and ads. You’ve found one of the best Google AdWords managers in the United States. I started working on AdWords accounts in 2003 and today I’m rated in the top 3% of Google Partners in North America. Hire an experienced, certified AdWords freelancer and save thousands of dollars in management fees. I never outsource my work and I encourage my clients to provide input as we work together to make their AdWords account highly profitable. 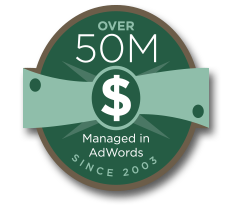 All AdWords management services include comprehensive reports and monthly phone consultations. You'll always maintain full ownership of your AdWords account and there are no contracts. Get 1-on-1 training from Chris. Learn how to build, optimize, and manage AdWords campaigns. "Chris is a true expert on AdWords and made a significant difference for our nonprofit.  Very professional, communicative, and informative." 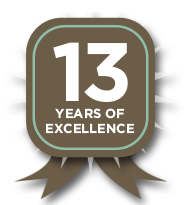 "We were very pleased with Chris's level of expertise, understanding of our needs and ability to communicate. Our project was completed on time and exceeded our expectations." "Chris has helped us through many, many campaigns and provided unerring insight, strategy, and detailed administration. It doesn’t get better than Chris." Learn how to build a successful Adwords campaign. 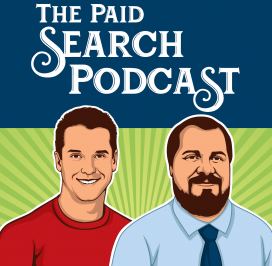 This free podcast helps business owners make the most of their Google AdWords budgets. New episodes every Monday!